NS Lifestyles: Do YOU Want To Be A Best Selling Book Club Monday Author?????? Do YOU Want To Be A Best Selling Book Club Monday Author?????? Will Your Name Be on the Bestseller List Next Year? You Can Do It! Ok. Are you ready to start that book? You have two opportunities to learn how to get on that bestseller list! First, a free webinar to learn about a weekend workshop that can change your life. Then, an incredible weekend to help you get started on your book! Join us for a FREE pre-weekend webinar on October 9th at 7:00 PM. I'll be hosting power coach and facilitator and dear colleague of mine, ALICIA DUNAMS. She'll be sharing information about "How to Write to Attract Leads, Sales and Customers by Writing a Bestselling Book Fast." What do you have to lose? It's FREE! 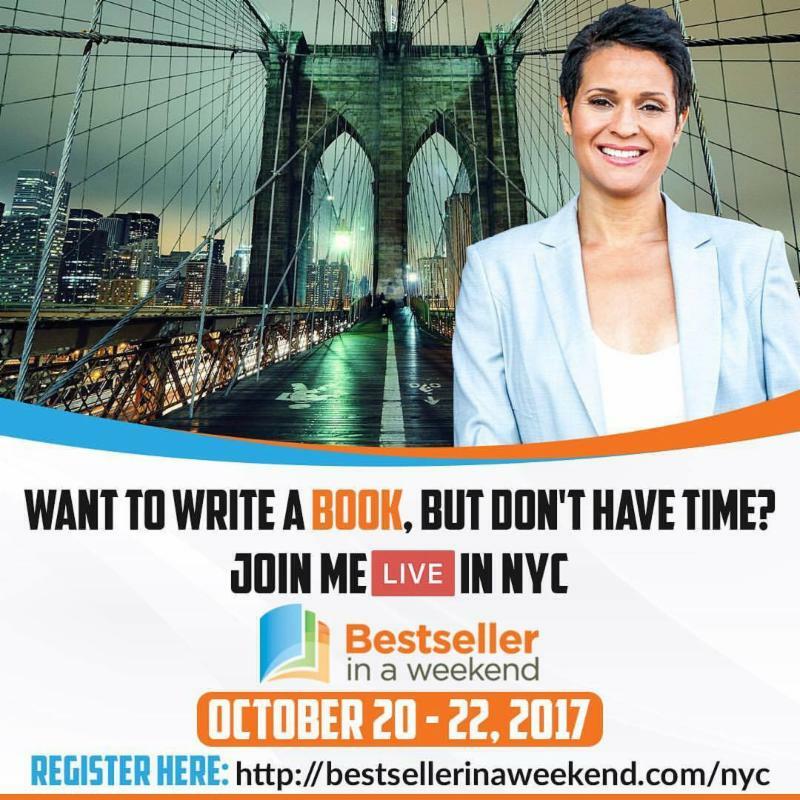 Second, sign up to join me and 20 other people for the Bestseller In a Weekend workshop from Oct 20-22 in NYC. Alician Dunams will offer her "Write a Best Seller in a Weekend" program LIVE. I can't wait. She's going to teach us how to get it done and you'll leave with a guaranteed minimum 100 page manuscript, and the knowledge on how to market it. We'll help each other, build relationships and have onsite readings. Use the code NYCBook for an incredible discount. This class is usually on the web and costs much much more. In fact I checked out the competitors and their costs were sky high. Join me and who knows, we could all be on the bestseller list next year! Oct. 20, Friday, 6:00p - 9:00p Bestseller in a Weekend Kick-Off including networking, warm-up exercises, and brainstorming sessions. Hosted nibbles and non-alcoholic drinks.